I am a classical guitarist & composer. A graduate of the Hartt School of Music and Yale University School of Music. A professional event musician with 25 years of experience playing classical and jazz guitar, I regularly perform at weddings (both ceremony music and cocktail hours), art openings, parties, corporate functions, holiday parties and formal dinners throughout the North East. I also teach guitar in all musical styles at my private studio in Connecticut. Guitar is my great passion. I look forward to sharing it with you. 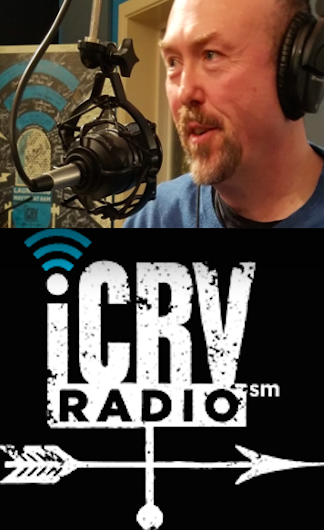 I am also the host of CLASSICAL GUITAR: CONNECTICUT on icrvradio.com. An online streaming radio station that features a wide variety of programming. CLASSICAL GUITAR: CONNECTICUT brings the very best of the classical guitar, old and new, in Connecticut and beyond. We also have special guests from the classical guitar world -- performers, luthiers and more -- to share their unique perspectives on the enchanting world of this genre of guitar music. The show is broadcast Sunday mornings at 9:00 EST and is repeated at various times throughout the week. Each show can also be found in the archives of icrvradio.com. As a composer/arranger I have written many pieces for classical guitar. Creating new music is definitely my passion. And as an avid student of the great film scores, I look forward to creating my own when the right project presents itself. Performances in private homes, libraries, museums, events. Solo concerts, paired with other instruments and/or a vocalist, I have an extensive performance experience and repertoire. I am happy to say I have always been well received and often invited back. If you are interested in booking a performance, please contact me. I look forward to hearing from you. Music is such a powerful part of your wedding celebration. Even hearing a piece of music many years later can bring you back in time to that magical day. I would be honored to provide beautiful music for your ceremony, reception or cocktail hour. Classical, Jazz Guitar -- whatever your vision for this important event..
For all skill levels, all ages. I offer classical, jazz and rock guitar lessons in my studio in Branford Connecticut. (As well as bass guitar and banjo lessons.) I have taught rock, jazz, bluegrass, reggae, classical, celtic, folk, blues, heavy metal and R&B players. My students have ranged in age from 5 to 80 years old — from absolute beginners to aspiring professionals. I can also provide lessons via SKYPE. Neal Fitzpatrick holds a Bachelor Of Music from Hartt School of Music, and a Master Of Music from Yale University School of Music. He studied extensively with jazz great Sal Salvador, world-renowned classical guitarist Sharon Isbin, and master and innovator of the guitar, Benjamin Verdery. While at Yale, Neal also spent one year as Mr. Verdery’s teaching assistant. Neal did master classes with Raphaella Smits, Elliot Fisk, David Leisner, and Carlos Molina. His awards include the annual Applied Music Department Guitar Award for Excellence from Hartt School of Music — a highly competitive award given at the end of each school year. He was also the recipient of the Benjamin Jepson Award at Yale — an award given to a Connecticut native who has excelled in the music program. Mr. Fitzpatrick is an active soloist and chamber musician. He has performed at diverse venues such as the Connecticut Classical Guitar Society, Yale Center for British Art, Sprague Hall, Aspen Music Festival, Neighborhood Music School, Yale Guitar Extravaganza, New York City Guitar Festival, 92nd Street Y in New York City and with the New Haven Symphony Orchestra at Woolsey Hall. Neal is widely active in Public Library Concert programs throughout the tri-state area. He was also a member of the New Haven-based Audubon Ensemble contemporary classical music group where he premiered a work for solo Classical Guitar by composer Beth May. In addition to his roster of private students, Neal has taught at: Trinity College Dept. of Music, Yale School of Music, Hartt School, The Neighborhood Music School, The Community Music School in Essex, CT, The Hopkins School, and The Jewish Community Center of Greater New Haven. We were most fortunate at the Wayne Public Library to have Neal Fitzpatrick, guitarist, perform at our Lunch Box Learning Program. Fifty patrons enjoyed his classical and jazz pieces that he performed with great skill, warmth and ease. As a library we have always tried to present our patrons with a variety of top-notch musical presentations and speakers. Once again we were able to maintain our high standards with Neal Fitzpatrick. He brought exceptional talent and charm to his classical and jazz guitar performance. In addition it is very easy to deal with him. I would indeed recommend Neal Fitzpatrick without qualification. Neal Fitzpatrick’s expertise in classical guitar is evident. His Professionalism, yet unencumbered approach creates a harmonious appeal to his audience. Neal’s classical guitar repertoire was well received by those in attendance at a recent concert. I would highly recommend Neal’s performances as they serve as a valuable source of enrichment to community residents. He is an excellent classical guitarist and his courteous manner and ease of working with deserve additional merit. Mr. Fitzpatrick’s performance at the Southington Library was the enriching and relaxing activity that all in attendance appreciated during the busy, stressful holiday time. Neal is an exceptionally talented musician, who during his performance projected a professional yet relaxed personality. Mr. Fitzpatrick interjected classical guitar history displaying his tutorial talents during his diversified presentation drawing the audience into his music. One of the goals of the library is to provide enriching programs to the community; Neal accomplished this goal for us. The audience left the performance enriched with a greater appreciation for classical music. As a member of the Board of the Weston Public Library I am pleased to write this review for Neal Fitzpatrick, classical and jazz guitarist. Neal has performed at the Weston Public Library for the past three years. In fact, his concerts have become an annual tradition, and we consider them to be among the highlights of the Library annual events for the community. Neal’s concerts reflect a combination of extraordinary talent and exceptional charm. The music is majestic, often haunting, and always eclectic. A concert may include pieces by Bach, Albeniz, Duarte or a composer of popular standards. Neal enhances the audiences’ musical appreciation with historical footnotes and personal insights into the pieces. Few member of the audience leave Neal’s concerts without personal interaction with him. Neal is happy to answer questions about the concert program or discuss his career as a classical guitarist. The Board of Directors of the Weston Public Library considers Neal Fitzpatrick a star performer. First of all, thank you so much for such a superb concert. Your gentle presence and your amazing virtuosity really drew the audience in. It was great to see people of all ages, from children to the elderly, equally captivated by your beautiful music. There was jus the right amount of commentary to educate the audience about the pieces and then the music simply spoke for itself. We will definitely have you back. I highly recommend Neal Fitzpatrick to provide a musical program for any organization. We have enjoyed his concerts for three consecutive years at our library. A remarkable guitarist, Neal commands a vast repertoire including both classical and jazz pieces. He captures his audience with his first few notes and creates a rapport with each listener. You were a pleasure to work with — competent and cooperative — which is no always true of an artist of your caliber. The music was superb, and you had such good grace to allow it to be background at our library volunteer party. Thank you so much for providing that extra special “note” to the party my friends and I gave for Dr. & Mrs. Allan Frankel’s 50th Wedding Anniversary. We wanted it to be an elegant evening, and the addition of your guitar was the icing on the cake — perfectly soothing, beautiful and melodious. I know my friends would agree — we made the Perfect choice. Thank you again for playing at the opening of my business, Kaleidoscope. You were the perfect addition to a wonderful day. Your beautiful playing and unobtrusive yet charming manner added such a festive atmosphere to the party. Your professional manner and knowledge allowed me to trust in you to take the reins so I was able to relax, enjoy my guests and the music. It was exactly the touch I had intended. Also thank you for dealing with the legal and organizational details so efficiently, graciously and expertly. You took the responsibility so that I could be comfortable with the knowledge that you would deliver what you had promised in an easy, affable and expert way. And of course, the music! The music was lovely — diverse yet harmonious, subtle yet clear and such an integral part to the whole. The guest have been overwhelming in their praise of your playing and the ambience you lent the party. I especially loved the diversity of styles you were able to play while knitting them together into one seamless whole. I would be remiss if I did not mention that you, yourself were such a pleasure to deal with that you simply added to my enjoyment of the planning and execution of the party. Thank you so much for your wonderful playing at my birthday luncheon. My intention was to have live music as an added dimension to the event. You did exactly that, both by being responsive to my requests and by playing beautifully, yet unobtrusively. Your broad knowledge of classical and jazz guitar resulted in an interesting and elegant mix of music. Many of my 45 guests commented either at the party or afterwards how much they enjoyed your music. Also, you were a pleasure to deal with and thoroughly professional in handling arrangements and delivering on what we had agreed on. I look forward to your contributing to future festivities! I would like to express my sincere appreciate for the musical capabilities of Neal Fitzpatrick and Naomi Senzer. The residents of Evergreen Woods are very well educated in the musical arts. They are a most discriminating audience. Many of the residents are themselves accomplished musicians. The musical guitar and flute programs presented by Neal and Naomi have delighted our residents beyond their expectations. Their repertoire is unusual. It is crisp, well planned, expertly rehearsed, and professionally presented. Both Neal and Naomi maintain a level of expertise and sophistication that allows for education and enjoyment. Whenever they play at Evergreen, I am approached with the question… when are you going to have them back? I thank them for a job well done. Neal, thank you so much for once again being part of our holiday campaign. Your enthusiasm, professionalism and talent helped to brighten the holidays for a number of downtown residents, visitors and merchants. Sincere thanks again for your participation. Dear Neal, thank you for helping make what might have been a major disaster into a wonderfully intimate and enchanting evening. Your choice of music was perfect. You, along with your bass & flute, played expertly, resulting in a great evening of entertainment. It was a night filled with the remnants of a Florida hurricate and yet your music soothed the savage storm and left us all feeling warm and safe. DON'T FORGET TO CHECK YOUR 'SPAM' FOLDER. THANK YOU!